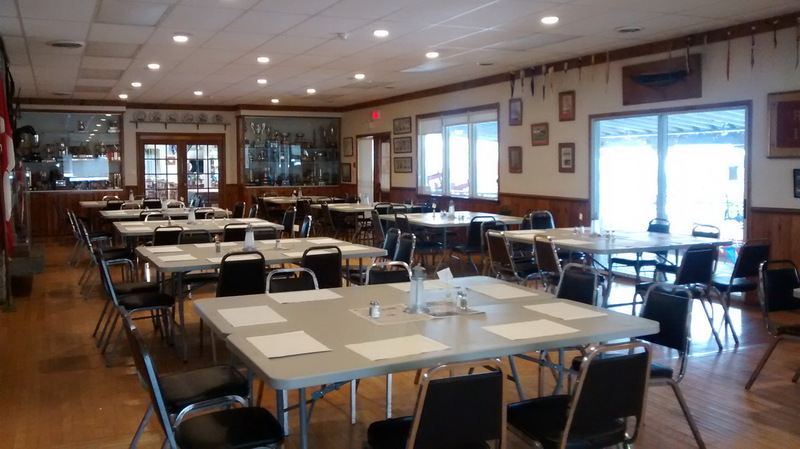 Hall Rental -- Need a location for your next event ? The Bay of Quinte Yacht Club is situated on the south shore of Victoria Park with panoramic views overlooking the beautiful Bay of Quinte. We can accommodate up to 96 guests for events such as adult birthday and anniversary parties, celebrations of life, awards banquets, corporate events, seminars, business meetings and small weddings with an area for a DJ or a small band plus a dance floor. The venue is air-conditioned, has wheelchair accessibility and lots of parking. We have a large licensed walkout patio with a southerly view of the Bay. Our bar in the lounge is called The Long Reach and is made from the hull of an Alberg 22 sailboat built by Nye Yachts of Belleville. It is a real conversation piece that was especially commissioned for our club. The bar carries a varied selection of spirits, liquors, wines and beers including craft beers as well as a selection of non-alcoholic beverages. For more information, please contact our Rental Coordinator at rental@bqyc.ca, or call us during our opening hours at 613-966-5931.